Do you like rolling two ten-sided dice instead of a twenty-sided die? 123 page, two-column, narrow margin version, no pictures, no graphics.Two versions are included. One plain backcground version. One version has parchment background. 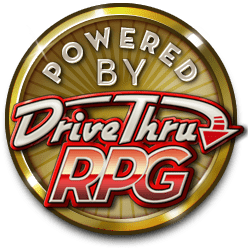 November tier contributors to 5e x 5 Future and Modern have receive this free redeeming their account enabled discount link if you haven't already claimed it. See your email or discussion on OGL SRD page for details. This is the two column version of the SRD. It is a B&W and doesn't have any illustrations. The OGL SRD version of this book is 231 pages. This version is 123 pages. It makes available a more compact version of the SRD which makes finding material quicker due to reduced page count. Margins are narrow, page numbers are set on the upper outside corner, headers stat broad sections, and a black cover is attached to the first page. This is primarily intended to be a compact digital version or a front and back printed version (if printer settings are set to darken the text) held together with a paperclip, binding clip, or one or more staples. How well this low price version sells will determine whether or not an improved formating version with holepunch and/or binding print layout is further funded, and the quality of such future version. In this project, we sought to increase the available d100 OGL content. This converts an alternative core that can be used by those that like rolling two ten sided dice for their RPG gaming. Our method was to change SRDv5.1, a few d20 OGL sources, some PRD, and a little SRDv3.5 from ability scores, skills, and saves that are d20 based (from values 1 to 30 into values 1 to 150), bonuses that are d20 based (from values -5 to +10 into values -25 to +50), and while preserving the multiple sided damage and hit points system. thousands of numbers were converted. The PWYW version of 5e x 5 OGL SRD which contains all five books with only minimal format and no columns. try it first and then upgrade for additional convenience and speed. Spells has a background scroll version. Characters has some border background graphics. These current versions do not have any other images. This is our one-column raw text with minimal formatting. This version was our first upgrade which uses a combination of narrower margins and two-columns to compact the text significantly. There are neither illustrations nor artwork. This version uses commercially available art Peter found from several sources. Because of this, you may see art pieces found in other works. It uses creative commons, clip art, and public domain art. It has all the features of the previous version with art found by Peter and also includes art by Ken of monsters that were not chosen or available with the commercially available art. Those pieces make this product a more unique version of the monster book. In addition, depending on the demand for this version, new paintings may be added in the future. The PWYW version of 5e x 5 OGL SRD which contains all five core books with only minimal one column format. try it first and then upgrade for additional two column and better layout convenience and speed.